Get to know the herbs, their benefits and how to use them to ease the problems of the prostate gland. In Europe and recently in United States, herbal treatment of enlarged prostate is used more commonly than chemical medications. The efficiency of some of these herbal treatments have been tested and proved clinically in several studies. 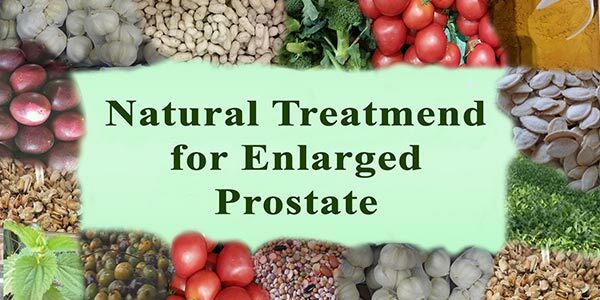 But, it is very important for you to understand that the complete improvement of treating enlarged prostate naturally can be only experienced after the period of 2-3 months from starting herbal treatment. Unfortunately, it is a fact that benign prostatic hyperplasia (enlarged prostate) usually affects more than fifty percent of men above the age of fifty five years old. Scientists believe that hormonal changes accompanying ageing might be the prime suspect for enlarged prostate in elderly. Mother Nature is very generous; there are myriad choices of treatment herbs. Saw palmetto (also known as serenoa repens or sabal serrulata) is one of the most researched herbs used to treat enlarged prostate. It is prescribed frequently in France and Germany. Saw palmetto is a native plant which grows naturally in the southeast of U.S.A.. In fact, Florida is the main producer of this herb. Saw palmetto has been proved to prevent the action of 5-alpha reductase enzyme (responsible for converting testosterone into more potent form dihydrotestosterone). Besides, this herb hinders the influence of some growth factors plus other inflammatory substances which cause common symptoms of BPH including urgency, incomplete emptying, urinary retention, nocturia, long voiding and dribbling. Generally, regular taking of saw palmetto can reduce the size of enlarged prostate. Almost 85% of BPH sufferers show an improvement of their symptoms after using saw palmetto. The National center for biotechnology information has published a study conducted by the Scientific Research Institute of Urologyin Moscow, Russia. This prolonged study for 150 men, diagnosed with benign prostatic hyperplasia and suffering from enlarged prostate symptoms, has documented the long term effectiveness and acceptability of Permixon (this is a product of regular saw palmetto extract oil, used popularly in Europe). 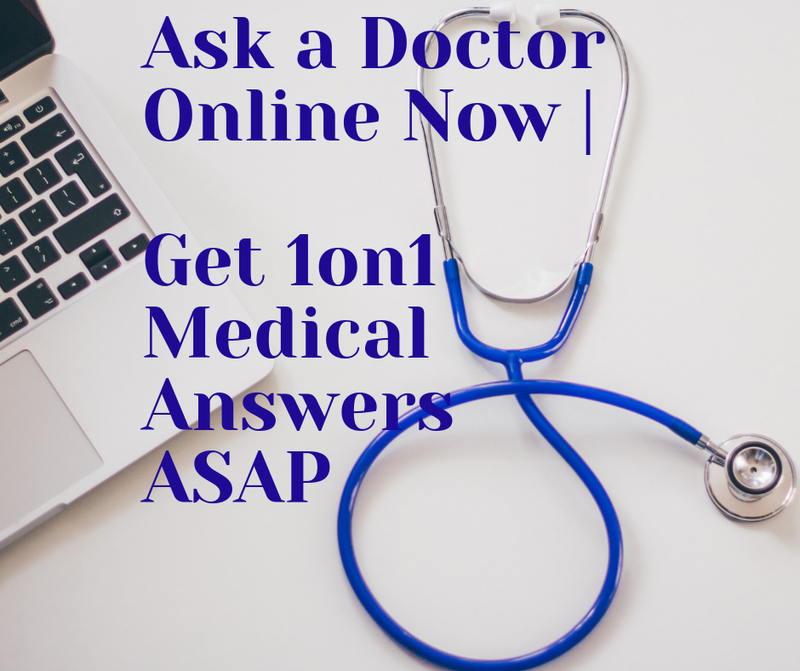 This study also recommends using saw palmetto as a first line of medical treatment of enlarged prostate manifested by non-complicated symptoms. 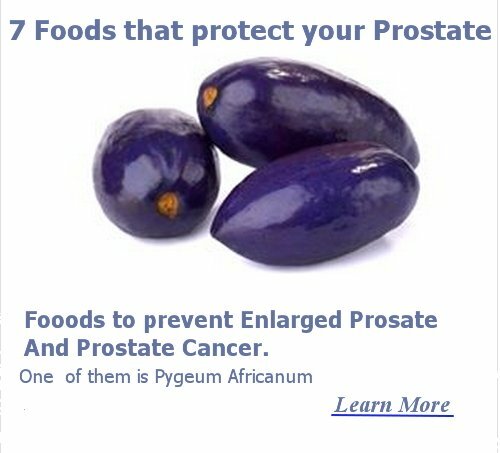 Pygeum africanum (Prunus africanum, Pygeum africanum) is another useful herb to treat enlarged prostate. This is an evergreen tree usually found in southern and central areas of Africa. Pygeum africanum bark extract has been found to treat some of urination complaints associated with enlarged prostate. Myriad human researches have reported that pygeum can markedly treat urinary hesitancy, frequent urination, nocturia as well as painful urination for individuals who show mild to moderate symptoms of BPH. Recently, pumpkin seed is introduced as an effective natural treatment of enlarged prostate. According to www.elements4health.com, several studies (especially a new study in Budapest, Hungary, which involves treating sixty patients of BPH with 300 mg of pumpkin seed oil extract) have proved that pumpkin seed can significantly reduce the size of enlarged prostate and enhance the urinary flow as well as urinary bladder emptying.